This has been a rough winter for my family in the general health department. I blame it on my three year old starting nursery school. Up until this year, my family has been in our own personal germ bubble. The kids stay at home with me and my husband works in an office by himself. Our biggest exposure to germs occurred sitting at the doctor’s office for well-visits. But now, with my little guy in school, we’re exposed to the full spectrum of winter viruses. We’ve become regulars at the pediatrician and it seems like one of us is always on antibiotics for some condition or another. Even our labrosaurus rex has endured a winter full of vet visits and internist appointments! Add that to the ever-accelerating schedule of my normal third trimester prenatal appointments and I’m pretty sure my family is solely supporting the medical community of the Central New York area. You’re welcome doctors, nurses, and midwives. This week, we’re in the midst of dealing with another virus, which has knocked each of down in succession like a family of dominoes; first one kid, then the next, then myself, and then my husband. Three out of the four of us are still wrapped in blankets and using tissues like they’re going out of style. The contractor, who’s currently remodeling our bathroom, hasn’t removed his face mask in days and it’s got nothing to do with drywall dust! When all the medicine in the medicine cabinet fails to heal what ails you, there’s only one thing left to try; homemade chicken soup! A few months ago, I shared my step by step guide for preparing a delicious, flavorful chicken soup from a leftover chicken carcass. The process is the same, even if you’re starting with a whole, raw chicken. Throw the chicken in the pot with a bunch of rough chopped vegetables. 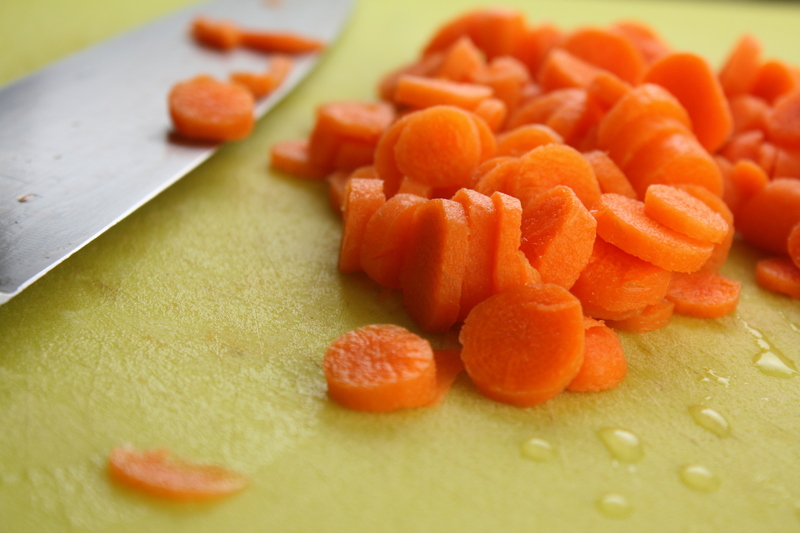 Use whatever you’ve got on hand; celery, carrots, garlic, onion, shallots, parsley, etc. Cover the chicken and veggies with water. Bring to a boil. Simmer, partially covered, for 3-4 hours. Strain the broth into a pot and set the chicken aside to cool. Discard the veggies. Simmer the broth uncovered, if desired, to reduce the liquid and produce a stronger flavored broth. Season with salt and pepper, to taste. When the chicken is cool enough to handle, pull apart all of the meat and throw it in the broth. Add the veggies of your choice to the broth. (I used sliced carrots and leeks.) Simmer, just until the veggies are tender. Adjust the seasoning with salt and pepper, as desired. 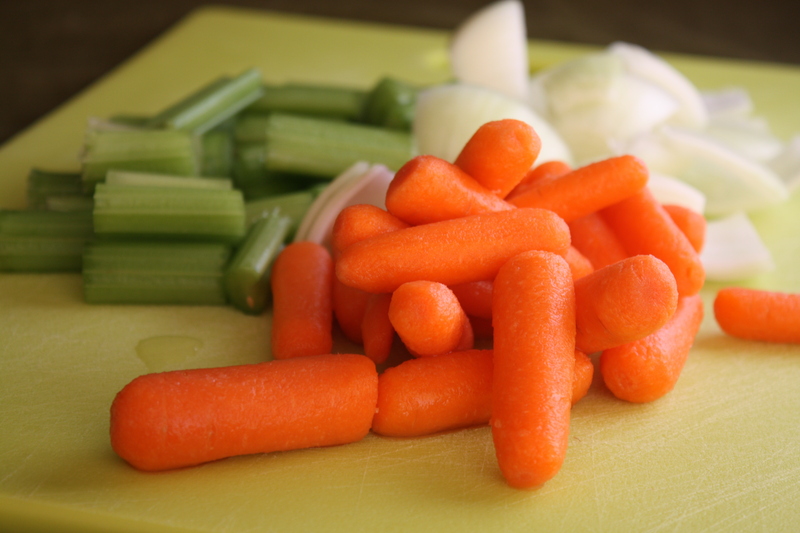 **Click here to see the full step-by-step guide to making chicken soup. Typically, I serve my chicken soup over cooked orzo pasta. Other noodles, pasta, or rice work well too. I recommend keeping your pasta or rice separate from the soup. Otherwise, it will absorb the broth, leaving you with undesirable, mushy pasta or rice. 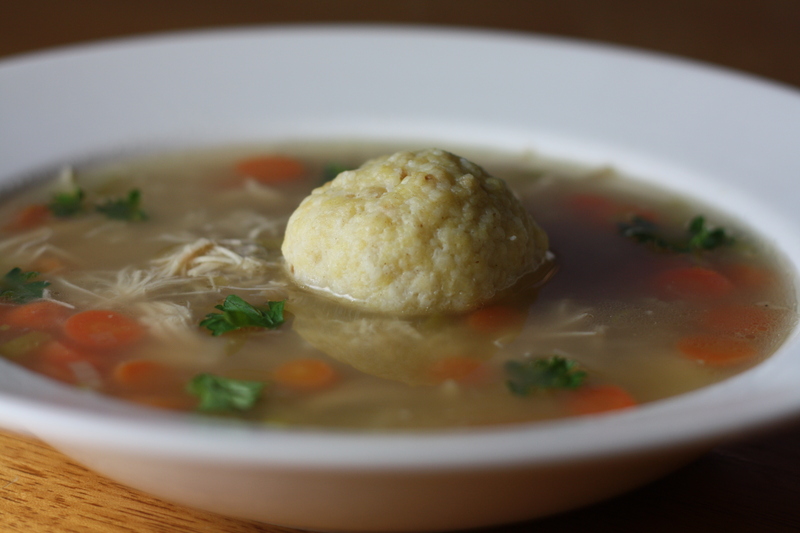 Another alternative to accompany your chicken soup are matzoh balls. To be honest, I have very minimal experience with matzoh balls. It is not something which my family ate often, if ever at all. 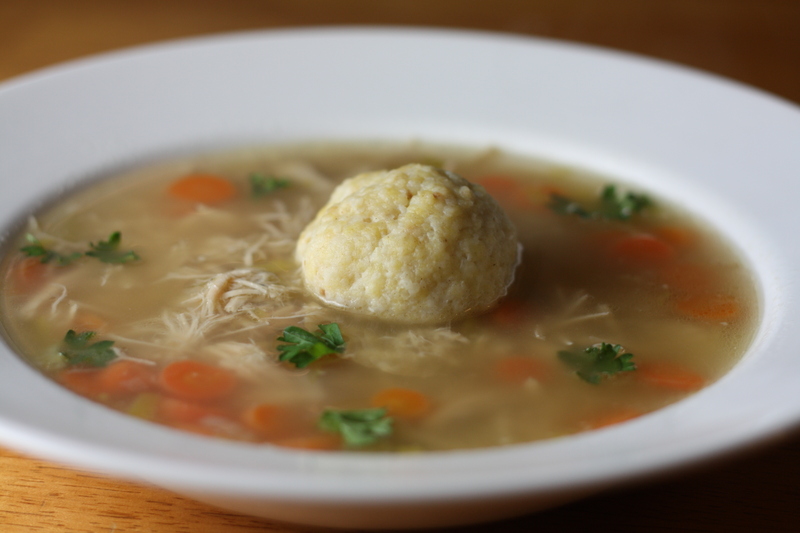 I’ve ordered a bowl of matzoh ball soup from a deli at one point or another, but I honestly can’t recall the exact taste or texture of the balls. That being said, I’m clearly no expert in matzoh ball making, but I’m always up for a culinary adventure. From what I gather, there are two schools of thought regarding the preferred matzoh ball texture; sinkers and floaters. Sinkers are more dense and require the edge of a fork to cut apart, whereas the floaters are lighter and more likely to fall apart on their own in your soup. As a matzoh ball novice, I have no strong personal preference. I pulled a few of the best sounding ideas from a variety of matzoh ball sources to develop my very own matzoh ball recipe. 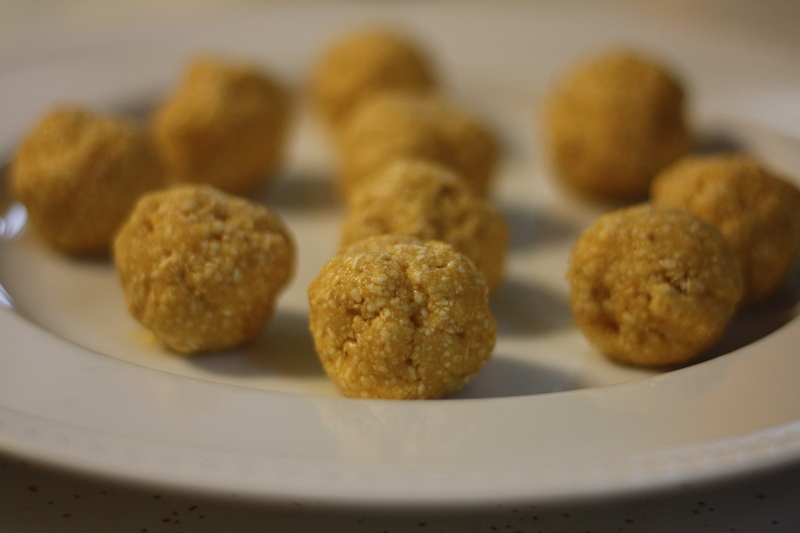 The result is a flavorful and tender ball, probably more in line with the sinker variety. Works for me! Combine the matzoh meal with the salt, onion powder and garlic powder. Set aside. In another bowl, whisk together the egg yolks with the vegetable oil until smooth. Set aside. Beat the egg whites until stiff peaks form. Fold the egg whites into the yolk mixture. Then, fold the egg mixture into the matzoh meal, just until combined. Do not over mix. Refrigerate for 30 minutes – 1 hour, until the mixture is firm. Form the mixture into 1 – 1 1/2″ balls. Bring a large pot of water to a gentle boil. Carefully drop each ball into the water. Once the balls have risen to the surface, cover and simmer for 20 minutes. Do not open the lid as it simmers. * Once cooked, remove the matzoh balls from the liquid with a slotted spoon. You can add the balls immediately to your soup or store separately and reheat with the soup, as desired. *I’m not completely clear on why you’re not supposed to open the lid, but it seems to be common matzoh making advice, so I think we best obey! Enjoy and stay well, my friends! Posted in Food, Main Course, Poultry, Recipes, Vegetable and tagged central new york, chicken, comfort food, Cooking, family, Food, kids, life, pregnancy, Recipes, sick, soup, vegetables, winter. Bookmark the permalink. I love love love matzoh ball soup! It’s amazing how everyone has their own version, but they all taste great! A good pot of chicken soup will definitely cure what ails you, that or a shot of tequila. Oops I guess that won’t work for the kiddos or for you in your present condition. Stick to the soup it’s better for you in the long run. Aw, I’m sorry you’re all sick! But, I agree that matzoh ball soup is the perfect remedy. 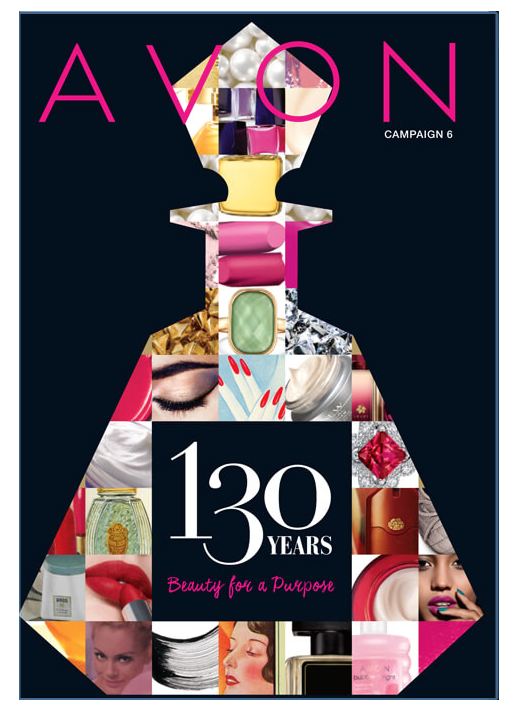 Your photos are gorgeous! This soup looks perfect right now. Hope your feeling better!